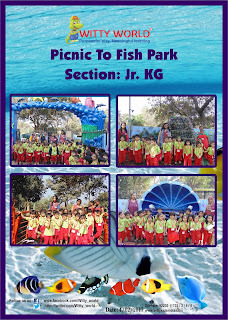 At Witty World we believe in experiential learning, and what could be more exciting than going on a picnic with ones classmates and exploring nature at it’s best. 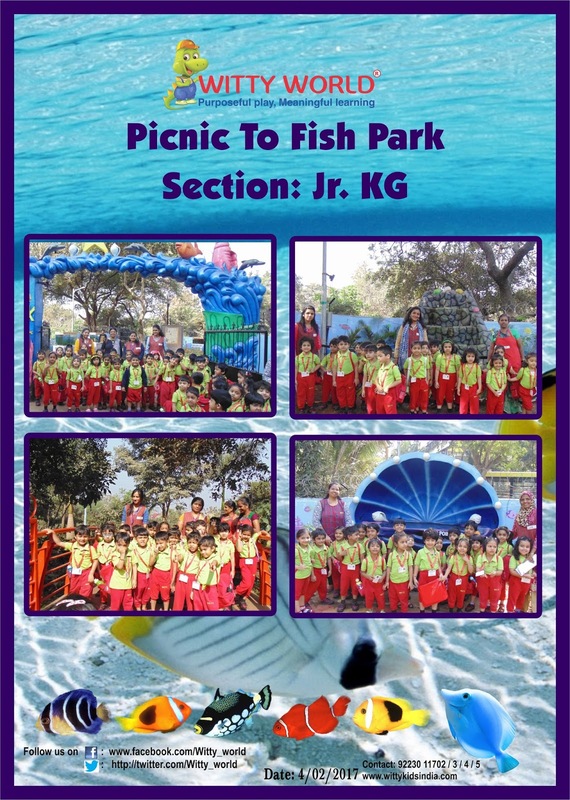 On Saturday 4th February 2017 little Wittians from the Jr.KG section were taken for a picnic to a Fish park, where they saw beautiful colourful fishes, and played with their friends. In an era of increasing indoor activities and reducing open spaces for children, initiatives such as this go a long way in inculcating a sense of oneness with nature amongst young children. The children had a great time and it will remain a memorable experience for a long time to come.